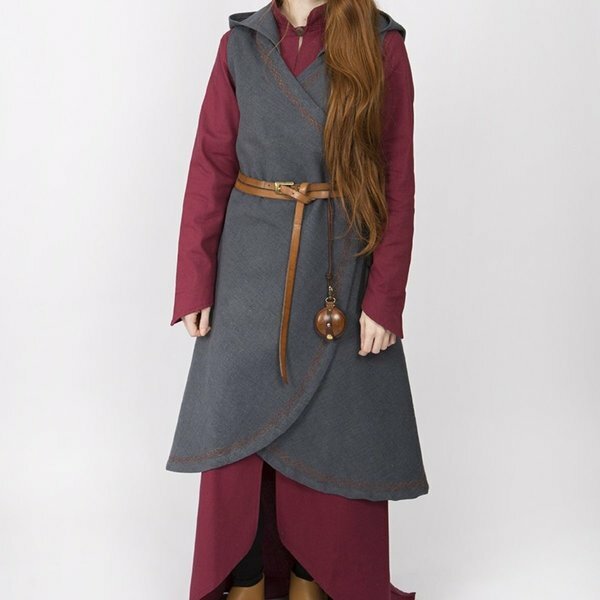 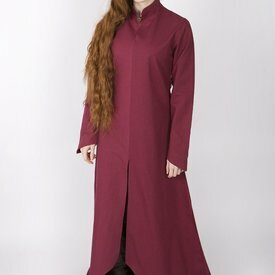 With this dress you give extra allure to your LARP, Cosplay or festival outfit. 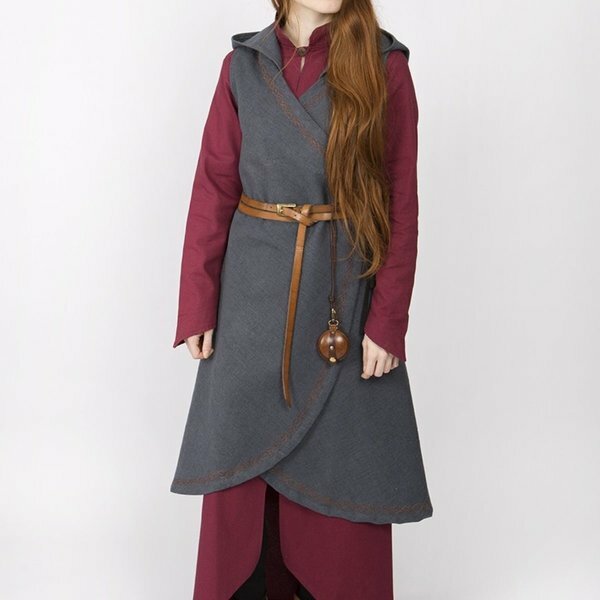 It has a hood that falls over your shoulders. With a belt you can fasten the dress to wear it elegantly over your dress or tunic. 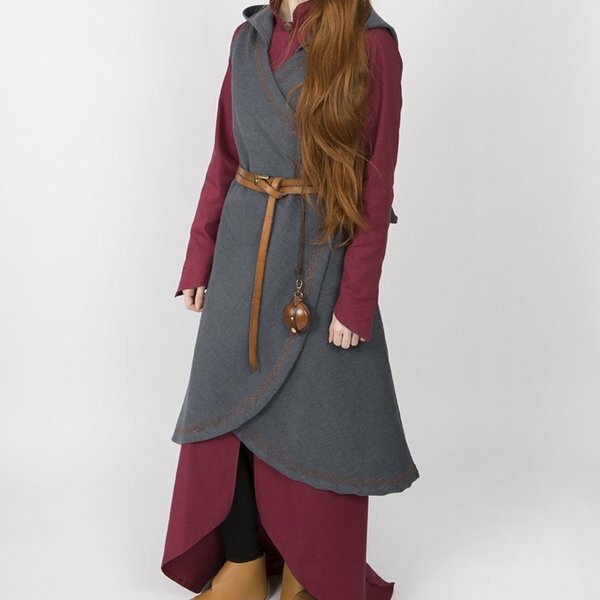 The edges of this wrap dress are decorated with a beautiful knot motif.